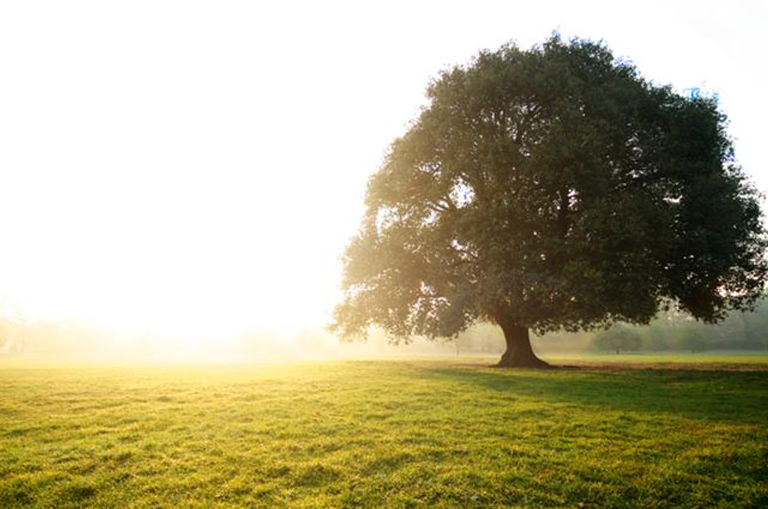 The mission of the Foundation is to produce profound good that is tangible and measurable in Bandera, Bexar, Comal, and Kendall counties in Texas by implementing the Kronkoskys' charitable purposes. 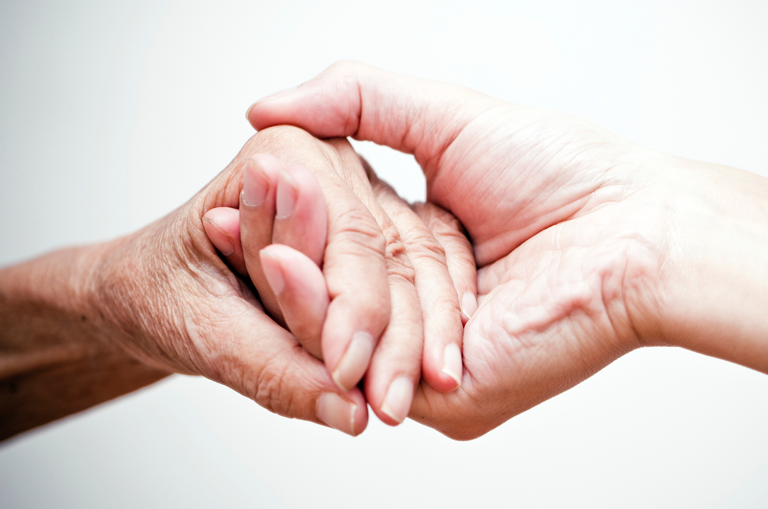 To improve the quality of life and contribute to a social safety net for individuals in our counties of interest; including the elderly, children and youth, and those living with illness and/or disabilities. To foster meaningful arts and cultural activities; broaden public participation in the arts; and to expand or improve the public use of information and learning available through museums and libraries. To expand or improve public parks, zoos, and wildlife sanctuaries; to prevent cruelty to animals and to assist victims of public disasters in Texas. 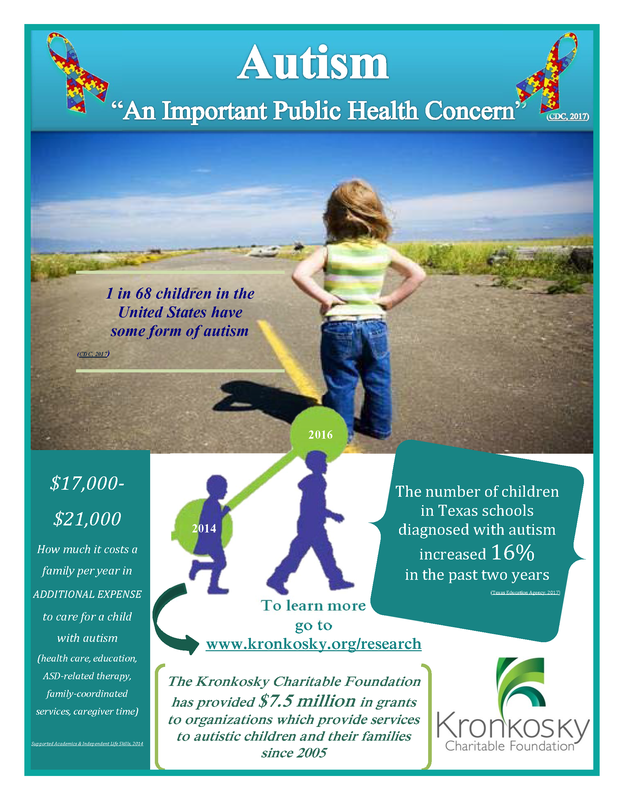 The focus of the Kronkosky Charitable Foundation is to support programs, projects and collaborative efforts that reach as many people as possible; involve the persons served in developing solutions; raise expectations; build self-esteem; develop personal and organizational capacity; encourage innovation; and make use of technology. Letters of Inquiry should clearly articulate your organization’s request and what you expect to accomplish. An outline is provided to help you compose your letter. 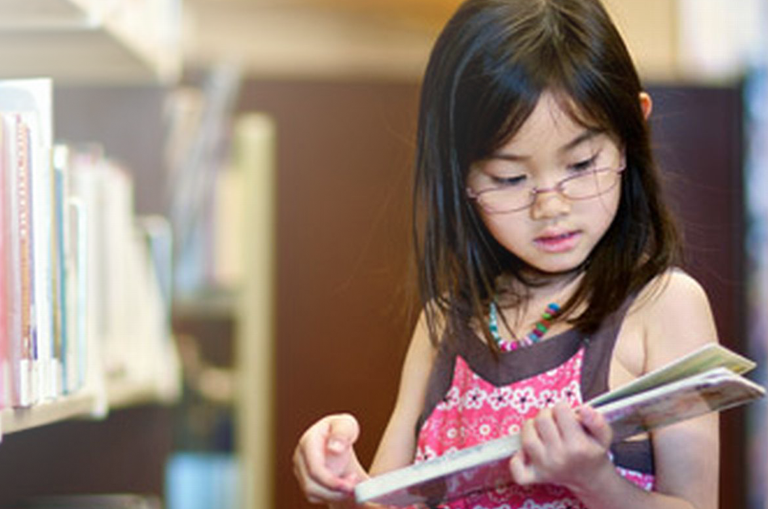 Letters of Inquiry will only be accepted from 501(c)(3) nonprofit organizations that have become GuideStar Exchange Program Members at the Silver, Gold, or Platinum level, a free service of Guidestar. 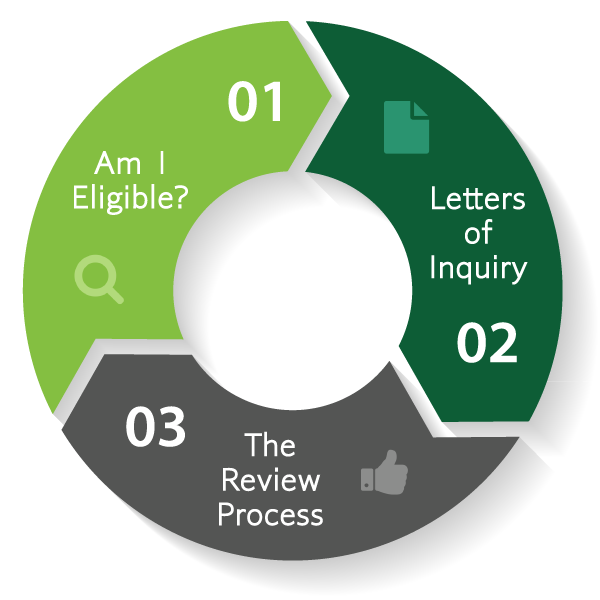 What is the review process once my Letter of Inquiry is received? Upon receipt of your letter, we will determine whether or not it meets our guidelines and Program Goals. If it does not, you will be immediately notified in writing. If your Letter of Inquiry does meet our requirements, it will be reviewed by staff within 14 days of receipt. If accepted to proceed to the next stage of review, a Grants Manager will send you an application package as well as a timeline for your submission of the grant proposal. Effective April 15, 2019, the Kronkosky Charitable Foundation will only accept Letters of Inquiry Submitted Online. Hard copy letters will be returned to sender. The Foundation is now accepting Letters of Inquiry submitted through our online portal. Once an applicant has created an account, all of the information required can be entered into the online form. The applicant will receive a confirmation email and a copy of the contents of the submitted Letter of Inquiry. The system allows for applicants to begin a letter, stop at any time during the process, and pick up were they left off at a later time (within 120 days) without losing any previously entered information. Once a letter has been submitted, no further action on the part of the applicant is required. Visit our Grants section for more information and a direct link to the portal. The Foundation's next Distribution Committee meeting is scheduled for June 4, 2019. All of the proposals for the June meeting have been requested. Letters of Inquiry received on or before June 21, 2019 and accepted for submission of a full proposal will be considered at the September 2019 meeting. Agencies submitting Letters of Inquiry for the September 2019 meeting which are received in the two weeks prior to the deadline date may have less time to complete a proposal if a proposal is requested by the Foundation. 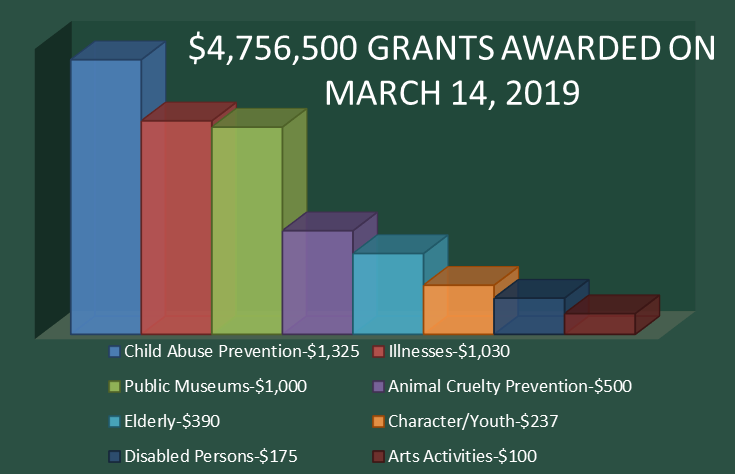 On March 14, 2019 the Foundation’s Distribution Committee approved $4,756,500 of grants to 24 organizations. The details on these and other grants by the Foundation may be found in the Awarded Grants section of this website.